Mobile Phones Database now features 2400 devices from 142 brands. 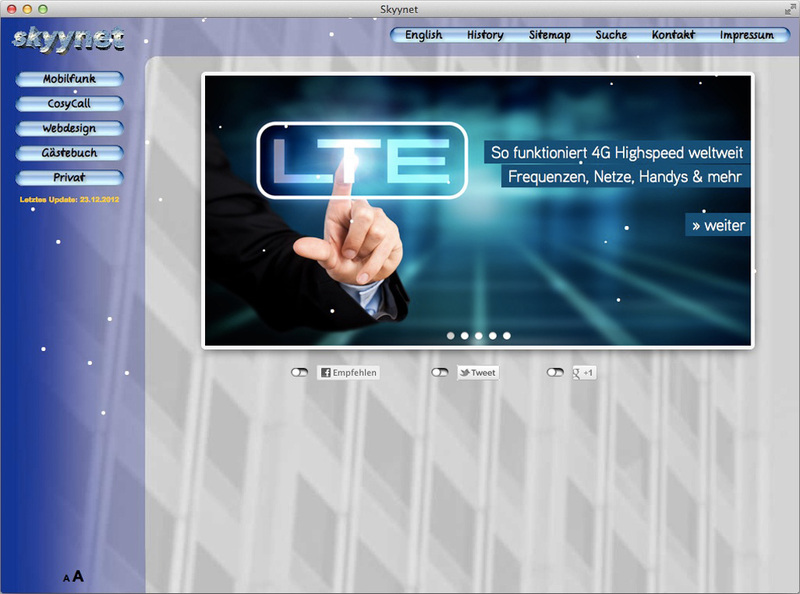 New function SkyyBubbles shows describtions of topics by showing an informative speech bubble while doing a mouseover. Integration of infos for the CosyCall™. This originally as a ready to use unit offered car heater remote control will be completed later with a construction manual. 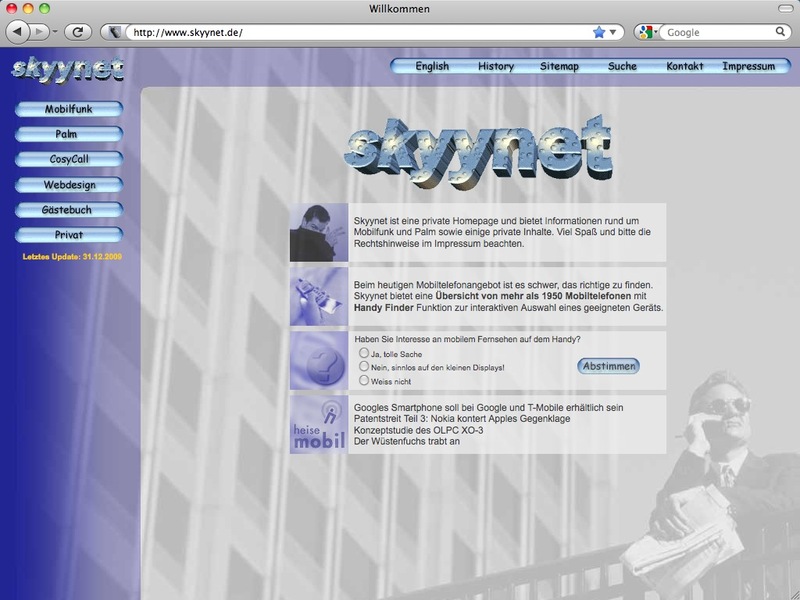 Conversion of the complete homepage. 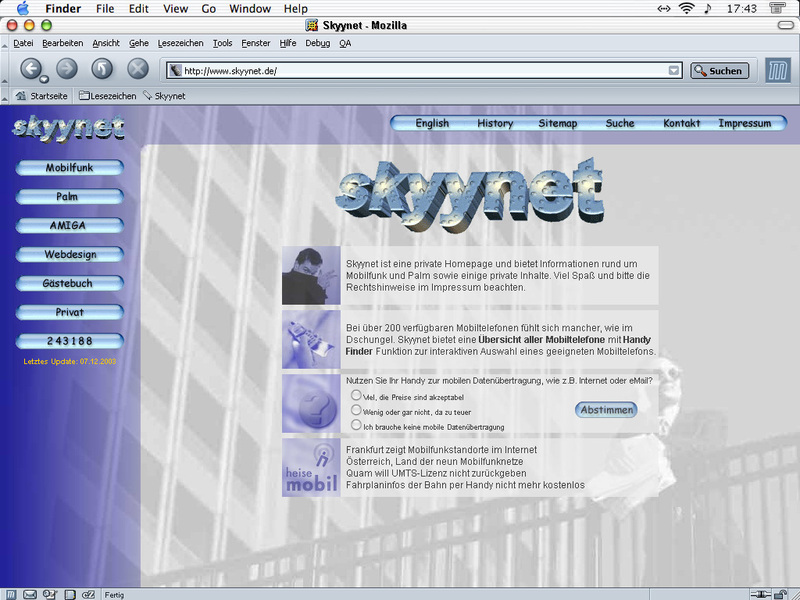 Skyynet does not use frames anymore and is best used with a CSS2 capable browser, like Mozilla 1.6, Netscape 7.1, Opera 7.23 or Safari 1.2. Unfortunately a workaround had to be programmed for Internet Explorer due to its major problems concerning absolute positioning. 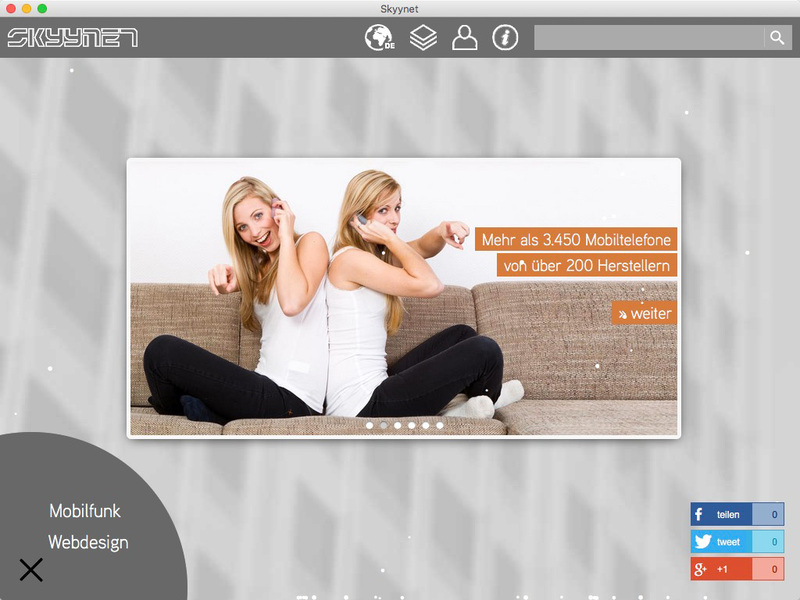 New alternate stylesheet with bigger font size, e.g. for visually impaired. 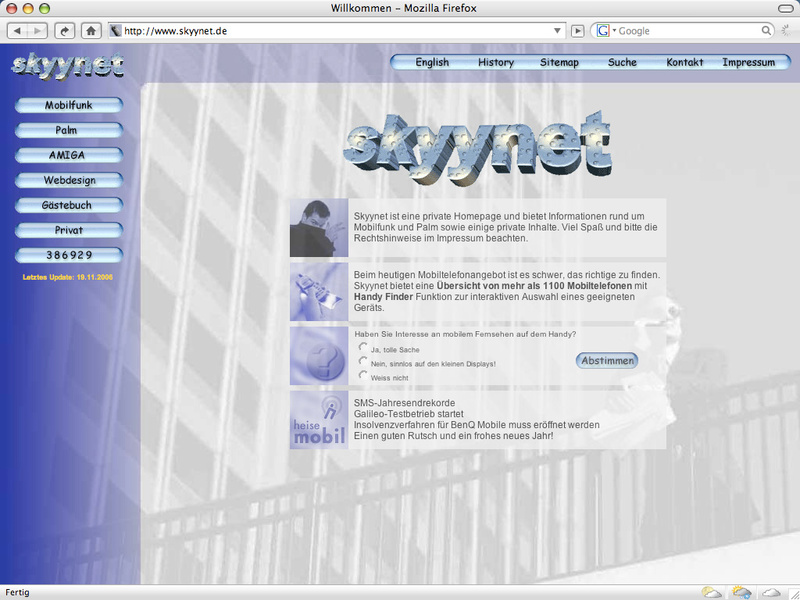 Accessable in all w3c compliant browsers (thus currently only Mozilla and Netscape 7) by menu "VIEW > USE STYLE > SKYYNET BIG"
22% What is a cellular phone?